William’s Hunt Roodepoort is a lively dealership headed by General Manager, Gary Klette and Sales Manager, Tian Venter. Upon entering, you are immediately greeted by all Opel has to offer. Among them is the vivacious Opel Corsa 1.4T Sport. Tian guides me to the vibrant hatch where he points out the significant trims that Opel added to the Sport’s model. As my close inspection continues, I notice the significant chrome inserts in the door handles, exhaust tip and the beltline that add to this Corsa’s sporty look. Opel even included a powered sunroof and an OPC-Line body kit for extra luxury. This type of extravagance is not usually seen in a vehicle of its segment, thus further demonstrating the value for money this hatch offers. The front exterior of the hatch is very stylish, with Bi-Xenon headlamps and LED daytime running lights. The whole headlamp cluster is suitably placed and designed for optimal vision and athletic appearance. The seats are jet black cloth with Morrocana side bolsters. Surprisingly, the Corsa has a lot of space considering it is a hatch and a sporty one at that. Sitting in the driver’s seat, it seems that Opel greatly focused on luxury when designing the cockpit. The sporty leather steering wheel allows access to the 7-inch IntelliLink audio system and cruise control. As I press the clutch to switch on the ignition, I notice the suave aluminium sport pedals and gear lever which put me in a sporty trance as we pulled away. For added comfort and customisation, the steering wheel is tilt and telescopically adjustable, speed-sensitive power steered and has a city mode function! The driver cluster has a 3.5-inch screen where you can see any information you need about your ride. Other luxurious features included in the Sport’s derivative are rain sensing wipers and an auto-dimming rear-view mirror. Pulling away from the dealership, I’m immediately reminded that we’re in a sports vehicle and not just any hatch. As we whizzed around the West Rand area, I was astounded at the minimal effort it took to drive up and down the hills of Wilro Park. 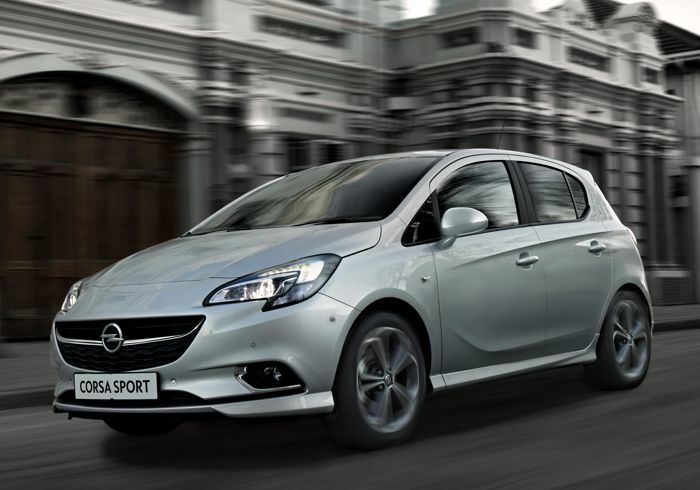 Though a hatchback, the Opel Corsa Sport has the safety features of an advanced sedan. These include six airbags, Hill-Start Assist (HSA) and a pedal release system. Unique to the Sport’s derivative and optional on other derivatives are front and rear park sensors, side blind-zone alert and hands-free park-assist. For anti-theft purposes a central locking system with immobiliser is available. 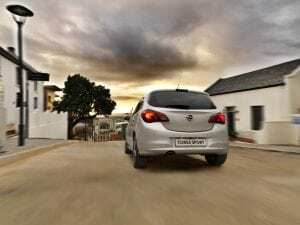 With your purchase of the Opel Corsa 1.4 Turbo Sport, you’ll receive a 5-year/120 000km warranty and roadside assistance, 5-year anti-corrosion warranty and 3-year/60 000km service plan. Head west to William’s Hunt Roodepoort today and check it out for yourself – you’ll be sportingly surprised!